Thank you to all of the players, coaches, managers, parents, referees, and volunteers who helped make our tournament such a huge success!! We had more teams (180) and matches (309) than ever and we couldn't have done it without the support of our local soccer community and the 36 teams that traveled from far and near to be a part of our 11th Golden Boy Tournament!! A big THANK YOU to our volunteers who helped run the tournament so smoothly, especially Mark Potter, Kat Krcadinac, Madison Fordyce, Irene Cielen, Riya Johal, and Marwa Rostami!! All of the team photos from the tournament can be found on our Instagram & Twitter pages, @WPGSOCCER! We are very much looking forward to the 2020 Golden Boy Tournament and hope to see you there!! If you have one of the winning ticket numbers, please DM us on our Twitter (@wpgsoccer) or email us with your name and phone number at wysa@winnipegyouthsoccer.com to claim your prize! Thank you to all that supported our various raffles, it was a tremendous success because of your support!! THANK YOU! WELCOME OUT OF TOWN TEAMS!! Friday marks the first matches for our Out of Town teams!! We wish you luck during the tournament and hope you have a great time on and off the pitch!! Also, just reminder that the Pembina Highway Underpass at Jubilee Avenue will be closed beginning at 8 p.m. Friday, February 15 and continues until 4 a.m. Tuesday, February 19. 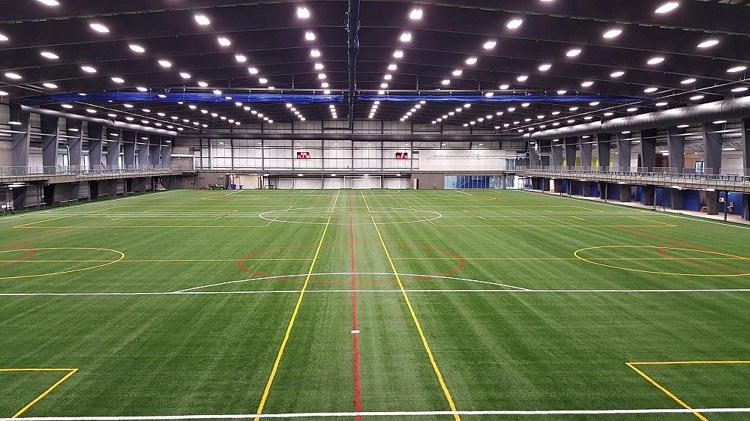 2019 Golden Boy Indoor Soccer Tournament kicks off today with record number of 180 teams! 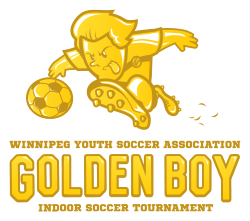 The Winnipeg Youth Association (WYSA) is excited to announce the kickoff of its annual Golden Boy Indoor Soccer Tournament which takes place February 14th to 18th at the WSF Soccer South, WSF Soccer North, and the Axworthy Health & RecPlex indoor facilities. This year’s Golden Boy Tournament set a new record of participating teams at 180, up 4 from last year’s record of 176. The tournament is made up of under 9 to under 18 boys’ and girls’ teams, across 26 divisions represented by about 2,400 players. There are 36 out-of-town teams representing Manitoba, Ontario, and Saskatchewan for a total of 309 matches over the 5 days! The finals will be held on Monday, February 18th at the WSF Soccer South and WSF Soccer North facilities, 9 AM to 3 PM. The Winnipeg Youth Soccer Association manages the largest year-round youth soccer league in Manitoba. The leagues are comprised of premier and developmental Club teams ages 9 to 18, and, recreational teams through our Community Centres ages 13 to 18. 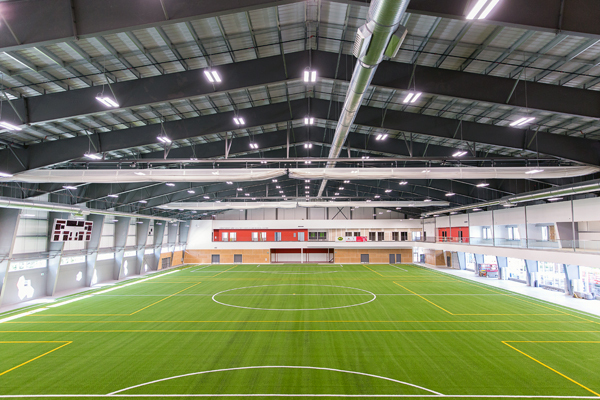 In recent years, WYSA has managed the largest indoor high school soccer league and has played a key role in bringing accessible soccer programming to youth in Winnipeg’s inner city. Are you or someone you know interested in a volunteering some time to the beautiful game? - The Tournament Schedule will be released on January 30 by the end of the day. All teams will be notified via email when the schedule has been posted. - For traveling teams ONLY - All Travel Permits must be submitted by February 1. - For non-WYSA League teams ONLY - All Provincially-Approved Rosters must be submitted by February 1. - Guest Player Forms must be submitted by February 7. Please note that Guest Player Forms must have all necessary information and signatures to be approved by the WYSA office, so submit them early in case there is information missing and more time is needed. The divisions and pools have been posted for the 2019 Golden Boy Tournament! You can find the complete list of teams, the divisions that will be run, and the pools that each team will be competing in under the "Division Format" tab. The schedule for the Golden Boy Tournament will be released two weeks prior to the tournament on January 30, 2019. All team contacts will be notified when the schedule becomes available. Guest Player Forms are available under the "Guest Player Forms" tab. The Golden Boy Tournament allows for a maximum or three (3) Guest Players per team in the tournament. Players may not be rostered on more than one team. Guest Player Forms must be submitted for approval by February 7, 2019. Follow us on our social media platforms: @WpgSoccer on Facebook, Twitter, and Instagram for all of the latest updates from the Winnipeg Youth Soccer Association and the 2019 Golden Boy Tournament! We look forward to hosting everyone in February! Registration for the 2019 Golden Boy Tournament is now closed. Thank you to all of the teams who took the time to register, and to those who are patiently waiting on a wait list for their division. This year was our fastest registration to date, with 150 teams registering within the first 10 minutes and reaching registration capacity only 30 minutes in. Thank you to the WYSA community and many out of town teams/clubs for your support of our annual event. We are now taking the time to balance divisions and expand the tournament to accept as many teams as we can. Please be reminded that registration was completed on a first come, first serve basis, and we will be taking that into account while balancing divisions. We will be working diligently to have the divisions finalized as soon as possible, but please bear with us as we have 180+ teams registered in 30+ divisions to sort through. You can also follow us on our social media platforms (Facebook, Twitter, and Instagram) by searching @WpgSoccer for updates. We look forward to seeing you all at the 2019 Golden Boy Tournament! Tuesday, November 13, 2019 at 12:00 PM CST! The tournament entry fee for teams competing on a 1/4 field is $580 per team. The tournament entry fee for teams competing on a 1/2 field is $780 per team. The Golden Boy Tournament offers divisions for boys and girls in the capacity of U9-U18 Recreational Divisions, U9-U12 Developmental Divisions, and U13-U18 Premier 1 and Premier 2 Divisions, however certain divisions will only run if there are enough teams registered in said division. Registration is offered at a first come, first serve basis. The Golden Boy Tournament is open Provincial/State sanctioned teams, recreational and competitive. All out-of-province teams must submit their team travel sanctioning as per their Provincial/State Association. All weekday matches will be played between 6:00 PM and 10:00 PM. All weekend matches will be played between 8:00 AM and 10:00 PM. Upon registering, each team will need to provide their team name, the division they are registering to play in, some personal information about the individual registering, and payment. Registration for the 2019 Golden Boy Tournament is NOT considered complete until payment has been made! The 2019 Golden Boy Tournament is the event of the Indoor Soccer season you DO NOT WANT TO MISS! Registration opens November 13th, 2018 at 12:00pm CST. The divisions are known to fill up quickly, so be prepared before 12:00pm with your division and coach information. Registration is capped at 160 teams and/or 8 teams per division. Winnipeg Youth Soccer Association reserves the right to open divisions up to more than 8 teams as dictated by the demand. Registration closes on December 1st, 2018 OR once we have reached tournament capacity - Whichever comes first. We are always looking for donations toward our raffle prizes! If you or someone you know is interested in some new and exciting marketing strategies and would like to donate a prize, email Adam at events@winnipegyouthsoccer.com for the official donation request letter! Winnipeg Youth Soccer Association is also looking for some dedicated volunteers who are looking to get involved at our 2019 Golden Boy Tournament. If you are interested in some more details regarding volunteering, email Adam at events@winnipegyouthsoccer.com for more details!